Pumpkin gets Pierced!, originally uploaded by Rick Cummings. How do you make an almost 4 year old Princess POP! with excitement? 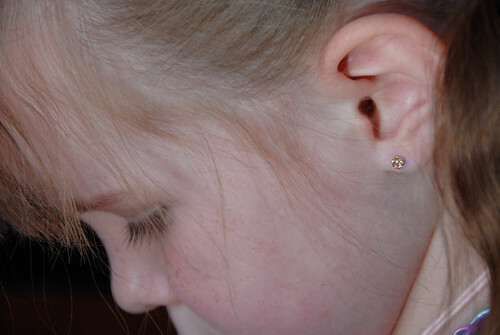 Let her get her ears pierced. After a year of pleading we succumbed to her desire. If Sydney notices (and what doesn’t she notice?) we’ll be hounded until we submit as well. Right now she really wants a kitty, it’s a daily conversation. Maybe we’ll get a kitty?!!! Very pretty earrings, Miss Olivia.